Ultraman Dyna is one of the warrior of light and also the successor of Ultraman Tiga. In the latest movie of Ultraman Saga, Dyna will fight the kaiju head to head together with Ultraman Cosmos and Ultraman Zero. Ultraman Dyna has 3 Form. Flash type is the main form that is a combination of power and speed. Kamen Rider OOO Tatoba Combo is the 11th rider from Heisei Era. He transform using 3 medal coins: Taka(Hawk), Tora(Tiger) and Batta(Hopper). Tatoba is the basic form and the common form that Kamen rider OOO use. With the help of ankh who is helping him to keep all the medals, kamen rider OOO fight all the greeds and all the monster in order to protect the world. S.H.Figuarts EX Machine Decader is a great bike figure. It comes with quite a lot of details, however this bike is lighter than DX Machine tornador and there is no diecast part. Dx "Machine Tornader" (machine tornado) is the predecessor of the current SHF EX Machine Tornado. Bandai re-use the same mold with a bit of modification and repackage it under SHF Line. DX Machine Tornado can transform from the flying mode into a bike mode. 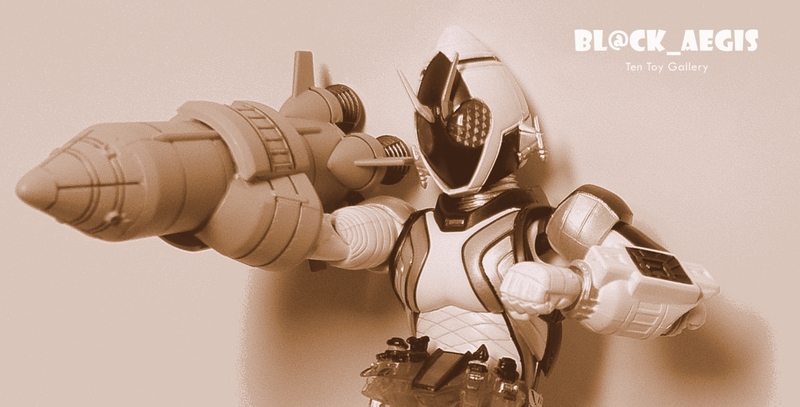 Fourze is a kamen rider who is using "Astro Switch" to transform into a rider. The belt it self contain 4 exchangeable switch which represent both of his arms and legs. Each of the part can be equipped with different module based on the switch that slot into the belt. Basically the design of the rider totally different with any other rider ( which actually copied from the old metal hero character which I have forgotten the name >:p ).